A multidisciplinary approach to the best care possible care delivery through cohesive service management and advanced delivery across healthcare sectors can make a difference. The patient’s needs, preferences, health outcomes, and participation are the cornerstone of an integrated healthcare system. OSP can program integrated care solutions that offer seamless cohesion, information transparency, reliable coordination for efficient and appropriate treatment. 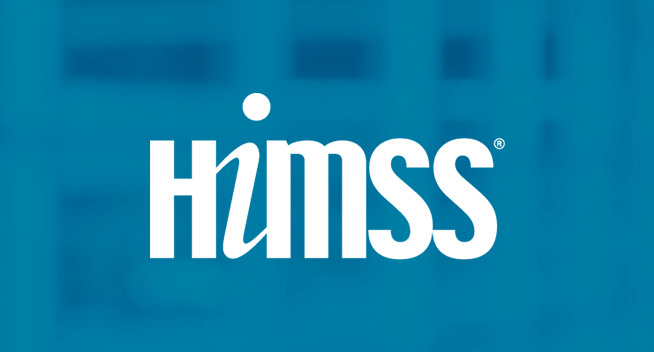 Inability to efficiently maintain essential healthcare data compliance like HIPAA and HL7. 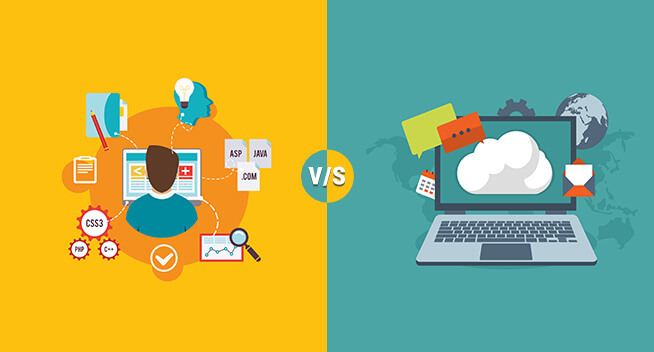 Lack of standardized data residing in different systems in unstructured formats. Inability to deliver up-to-the-minute information to keep connected healthcare systems in sync. Unavailability of standard and effective data authentication and access control mechanism. Highly complicated, the unstructured healthcare industry with heterogeneous healthcare systems. Non-supportive shared identities of system users to streamline cross-organizational communication. We understand the benefits of integrated healthcare systems and promote the seamless exchange of compliant healthcare data. Health Level 7 or HL7 is a healthcare standard that regulates the exchange, integration, sharing, and retrieval of electronic health data. Our integrated solutions health network is customized to solve HL7 integration challenge. We strive to make cohesiveness a reality with bespoke healthcare mobility and integration solutions. HL7 standards are efficiently employed for EHR/EMR integration, PACS, pharmaceutical information (SPL), Clinical Context Object Workgroup (CCOW) and more. 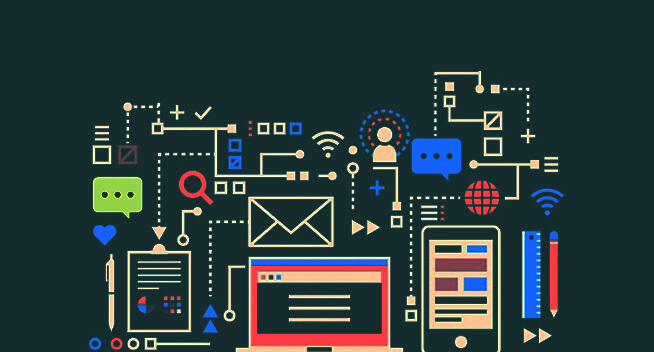 Our developers utilize XML and JSON web services to create Fast Healthcare Interoperability Resources (FHIR) for real-time information sharing and standardizing integrated health record format. Our HL7 integration solutions include standardizing expressions for Medical Logic Modules (MLM) and Clinical Decision Support (CDS). To efficiently interface diverse healthcare information technologies including PMS, HIS, and medical billing solutions, we employ HL7 interoperability standards. Our HL7 integration solutions power sophisticated healthcare communication by seamless transfer of data internally and externally. 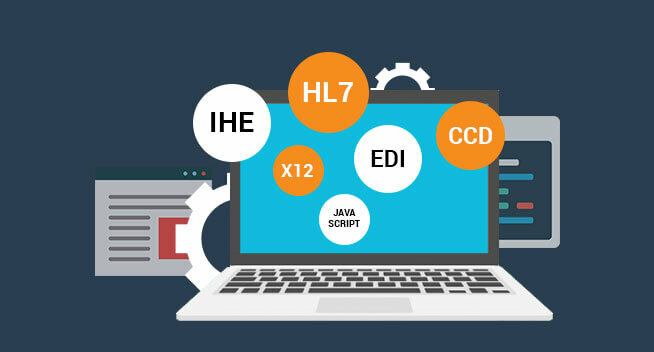 We tailor HL7 integration solutions to include HL7 integration engine, HL7 messaging, and HL7 data exchange and make the integrated solutions health network comprehensive. OSP healthcare integration solutions are focused on automating and streamlining the communication among healthcare systems by adhering to multiple EDI standards such as ASC X12, EDIFACT, XML, GS1-128 LABELS and GS1/EAN/UCC. With custom integrated medical case solutions, we help organizations to share vital healthcare data efficiently and securely with a broad spectrum of communication protocols. Integrated health care is made possible by integrating this data in all aspects of your healthcare system. 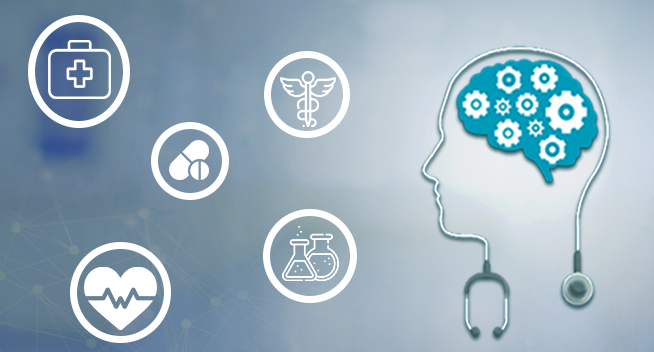 OSP’ proficient healthcare integration teams easily tackle even the most EDI X12 Base Integration challenges, whether integrating on-premise or in the cloud. Our essential healthcare solutions for cloud-based EDI integration involves procurement automation and robust supply chain and inventory visibility. We can handle any EDI standards for your healthcare applications including ANSI X12, TRADACOMS, EDIFACT, and HL7 standards. 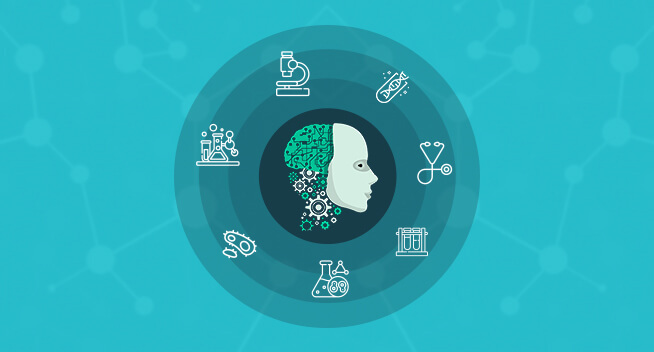 Utilizing EDI X12 Base integration, we automate real-time, web-based visibility into your transactional and operational EDI information that helps in managing multiple integrated health record formats, uncover trends and identify errors. 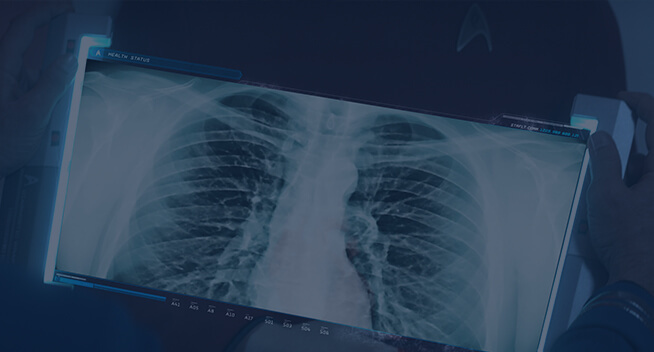 OSP’ integrated medical case solutions for EDI X12 help to deliver crucial healthcare data to and from across your extended healthcare ecosystem. EHR integration is highly essential in integrated health care management that helps healthcare organizations to access patient’s electronic health records and structured healthcare information easily. 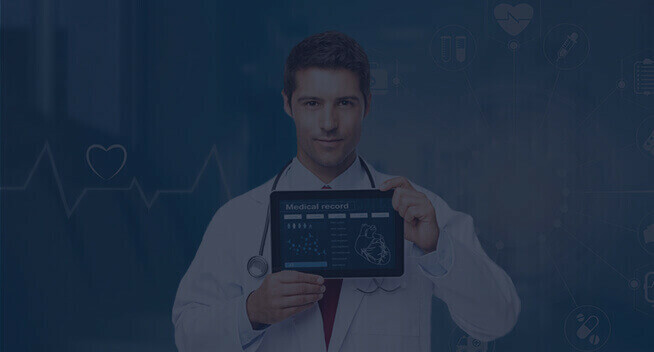 OSP cutting-edge EHR integration solutions employ cloud-hosting technologies to host your EHR data and seamlessly integrate it into desired healthcare systems. Our EMR integration solutions utilize advanced native business process management mechanisms to streamline processes and create a highly connected and efficient healthcare enterprise. OSP’ EMR integration team conjoins all of your medical data, including DICOM and non-DICOM images to generate a comprehensive EMR. We integrate EMR data into multiple healthcare systems with heterogeneous IT environments to enhance integrated healthcare systems. Our custom integration solution thoroughly maintains essential compliance for documents access by HIPAA regulations for privacy and security of patient’s medical data. 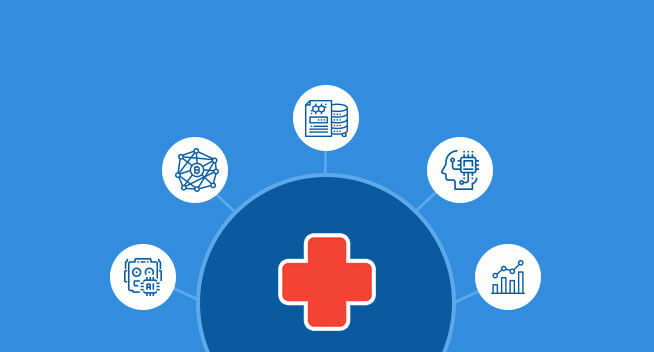 Healthcare ERP integration plays a crucial role in enhancing operational efficiency, healthcare quality, and back-end operations optimizations. To achieve a seamless integrated health care management, our ERP integration specialists leverage the capabilities of Microsoft Azure and advanced data warehouse applications. OSP state-of-the-art ERP integration solutions enlist a comprehensive needs analysis to evaluate a viable approach to the client’s ERP Integration. We make compliance assessment for HIPAA and SOX for seamless and secure integration of multiple vital back-end processes with core clinical systems and with external organizations. Our ERP integration solutions provide external operations for multiple integration scenarios to execute the end-to-end inbound and outbound flow of data. Integrating an enterprise resource planning software offer healthcare organizations complete control of business operations, end-to-end, real-time visibility, and increased access to the enterprise data. Meaningful Use – 2 (MU2) is employing certified EHR technology to enhance healthcare quality, efficiency, safety, and reduce health disparities. 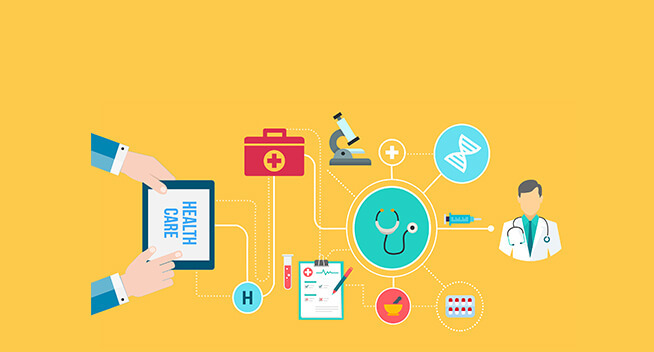 OSP’ healthcare integration experts offer MU2 compliant integration to adhere to the core objectives of Meaningful Use and measures for security and privacy of healthcare data. 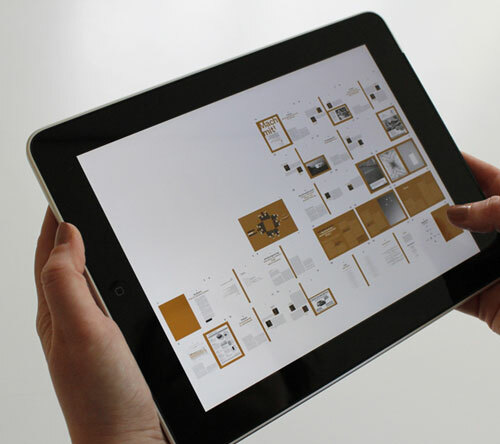 By leveraging our custom-made integrated healthcare system, we help to upgrade your existing EHR system to be compliant to Meaningful Use Stage 2 while maintaining the current usability, without impacting the workflow. OSP MU2 Compliant Integration solutions protect electronic health information generated or managed by the certified EHR technology. We use DICOM as a key standard for data transformation especially the encoding imaging sets. The Direct Project and IHE profiles, such as XDS-I and XDR-I are also considered as viable alternatives. Our healthcare integration experts confirm MU2 compliance for Computerized physician order entry (CPOE) and patient interactions. Our MU2 compliant healthcare integration solutions simplify the incorporation of clinical lab tests results in CEHRT as structured data and submit electronic data & reports to various healthcare systems. The value-based health care is continuously under the transformational shift with increasing focus on care quality, speed and well-integrated applications across the continuum of care. OSP’ advanced healthcare application integration solutions involve complicated integrations for e-prescriptions, health clinics, labs, medical billings, radiology centers, and various hospitals. Our healthcare application integration specialists have the core expertise to design, build, and test interfaces for all significant integration platforms and application vendors. We help various clinical and enterprise systems with integrated care solutions that help to communicate seamlessly in a secure, interoperable environment with HL7 v2, HL7 v3, XML, CDA, X12, EDI, XDS implementation. Our tailored application integration solutions focus on providing users with real-time healthcare data with bespoke infrastructure planning and deployment. 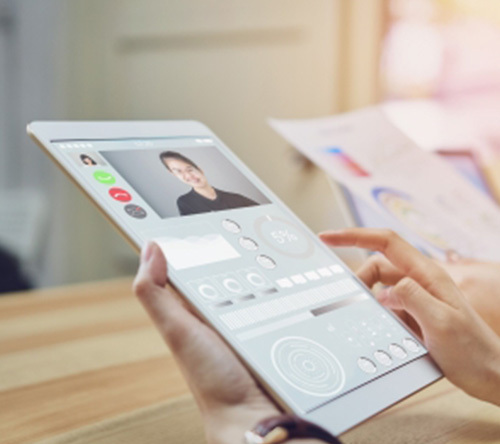 OSP’ clinical system integration can simplify the workflow and collaboration among multiple healthcare systems by connecting internal and external clinical systems. We employ .NET and advanced enterprise workflow software systems to capture, process and transform healthcare information from an application to the system. OSP’ healthcare system integration support offerings are skillfully directed to meet the day-to-day challenges faced by modern healthcare systems. We extend our qualitative healthcare system integration support in the areas of integrated system monitoring and infrastructure management. The benefits of integrated healthcare systems are many. Our healthcare integration solutions strive to enhance the potential of your healthcare IT infrastructure to be agile, robust and secure. With our integrated health solutions, we ensure that your entire system network infrastructure is functioning properly by addressing concerns at each layer within an enterprise’s technology stack. 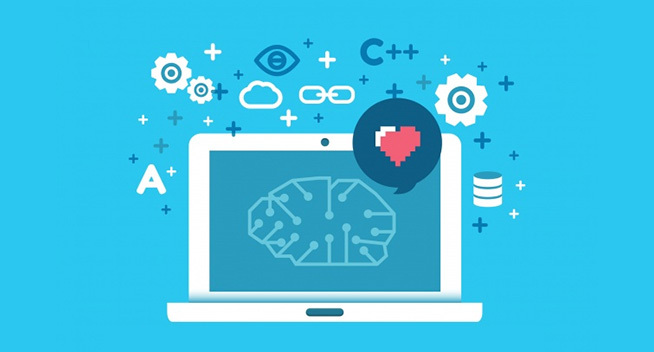 Our healthcare integration support and maintenance solutions include in-depth monitoring and robust support capabilities such as server monitoring, HL7 message tracking, and error correction. 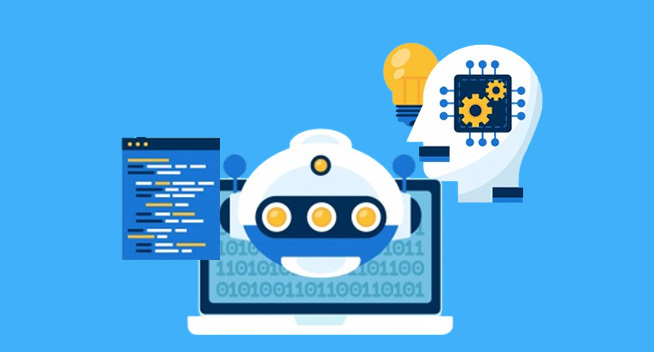 Our tech professionals provide the earliest identification of integrated healthcare system problems via smartly targeted integration activities focusing on each layer within an enterprise’s technology stack. The Radio Frequency Identification (RFID) has transformed healthcare with increased speed, inventory accuracy, and visibility. The RFID data integration solutions generate data into healthcare applications for the information to be viewed, analyzed, applied and presented to end users efficiently. Our skilled RFID data integration experts smartly pair RFID and barcode technologies with healthcare applications to provide an easy-to-use experience with highly optimized performance and productivity. Relying on smart all-purpose RFID data-integration strategies and a combination of approaches, we develop unique integrated care solutions with smart concepts and tools. We utilized advanced data mining techniques to predict missing sensor data smartly. The data is stored in the RFID device chip’s memory in the form of the electronic product code (EPC). Our RFID data integration process strives to realize the continuous, bi-directional and enterprise-wide data visibility. RFID data integrations solutions offered by our expert software developers have helped with efficient data integration from the sensors deployed throughout the entire organization, RFID readers, physical object scanners and edge devices in the whole system network. EMR integration solutions to provide customization and user-definable EHR templates to be easily applied to the SOAP notes to automate the entry of redundant data. Improved interoperability to enable the hassle-free data transfer with patients, providers, payers, health registries, and healthcare organizations. 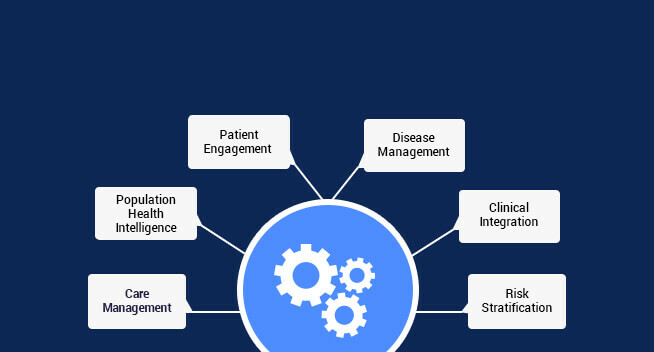 Integrated health solutions for skillful integrations with evidence-based mechanisms, reliable patient portals, and comprehensive charting management features. Interfacing EHR/EMR systems with Picture Archiving and Communication Systems (PACS), Practice Management Systems (PMS), Health Information Exchanges (HIE), and Clinical Decision Support (CDS). 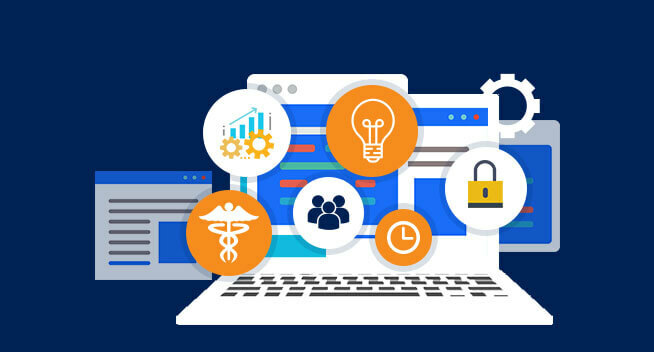 Securely access healthcare data from any connected source via customized interfaces in various healthcare standards including HL7, CDA, and FHIR, as well as X12 formats. 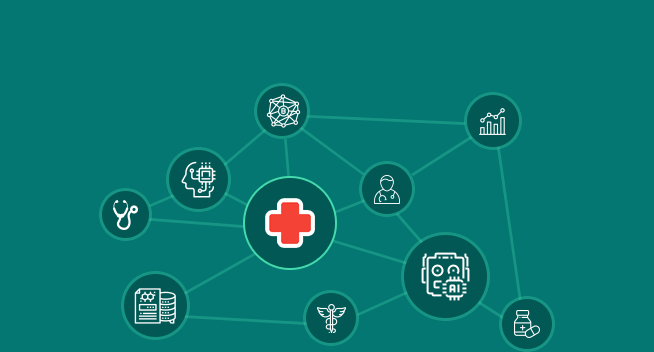 Connecting healthcare applications to enable a continuous flow of healthcare data between systems and devices, and external Health Information Exchange associates. Integrated legacy EHR with population health applications for timely and accurate patient health updates from admissions to post-acute care. Clinically integrated interface to manage and share patient data from labs, medical claims and remote devices using secure interoperability standards. Integrated physician incentive programs with value-based care data abiding necessary regulatory standards. Collaborative care management through integration solution to enable healthcare providers across the community to work together on behalf of a patient. EHR- Integrated telehealth real-time video streaming feature for HIPAA compliant data sharing for clinicians and patients. Smart integration solutions to combine telehealth applications with CDS, automated intervention alerts, and networked data repositories. Integration capabilities with third-party home health services to help patients to monitor and manage their health proactively. Bespoke interoperability mechanism to interface with multiple medical devices that use different communication protocols for data acquisition, interpretation, and standardization. Integrate RCM into bespoke multi-site Hospital Information Systems (HIS) with interactive interfaces for accurate recording of patient demographics, insurance data, and medical histories. Hospital-focused contract modeling functions are integrated with skillfully designed payer contract management modules to assist uninsured patients. Empowering RCM by integrating with business analytics, AR management, and robust denial management. Hosted in a cloud network with advanced HL7 interoperability and integrated with EHR/EMR for superbills for rendered services. 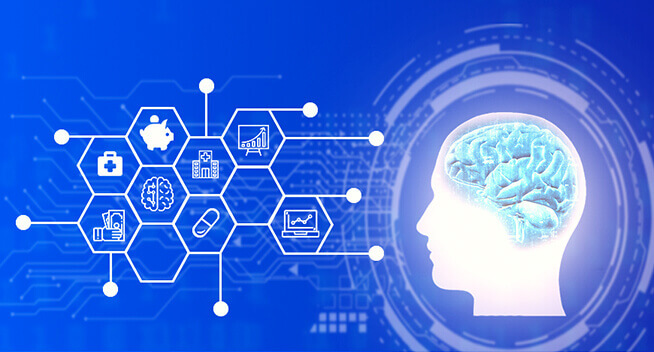 Seamless exchange of healthcare data from multiple sources claims, system networks, pharmacies, diagnostic and lab results, predictive modeling, and decision support tools. Utilizing patient stratification process to Integrate current care utilization and trends, chronic ailments, and active medications from varied medical claims data sources. The population-based integrated care management system to share a defined group of patients tracked in a registry. Smartly integrating electronic patient record system to deliver high-quality care across multiple sites at the point of care. Patient-centric case management system to keep track and plan the complex patient care requirements to reduce emergency department admissions and the length of hospital stays. Collecting disparate healthcare data including demographics, insurance data, income, medical records, and lab results for comprehensive reporting. Integrating clinical decision support and clinical workflows in order to enhance performance on high priority and chronic health conditions. Bringing discrete data from the EHR into clinical setting workflows to strengthen clinical decision making. 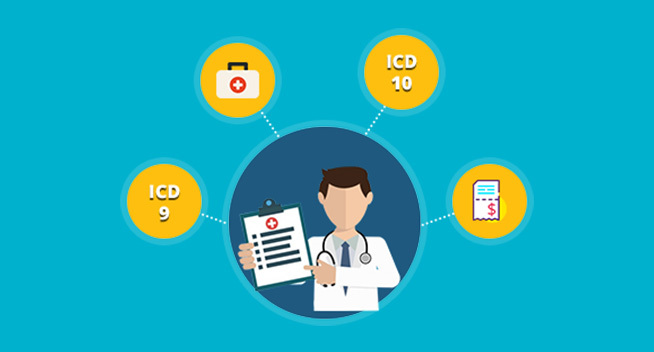 We can integrate multiple efficient CDS tools including initial CDS alert, completion of risk-score calculators and the signing of prescription order sets. 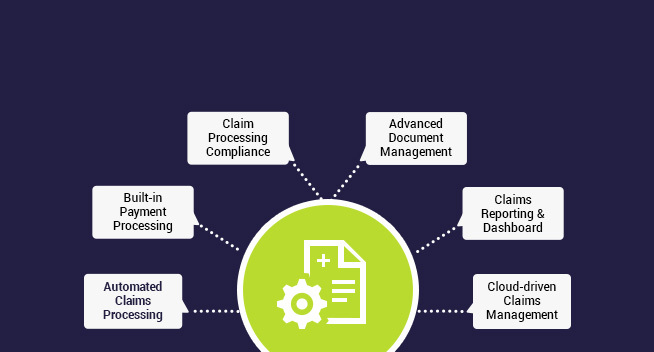 We integrate varied health care systems, platforms, and processes to automate your medical claim processing workflow. 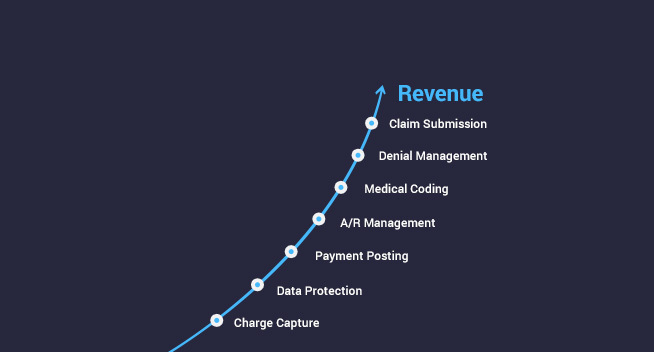 Fully integrated claim submission process to minimize the losses of high volume and low-dollar claims, reduce the overbilling and bring payment accuracy. 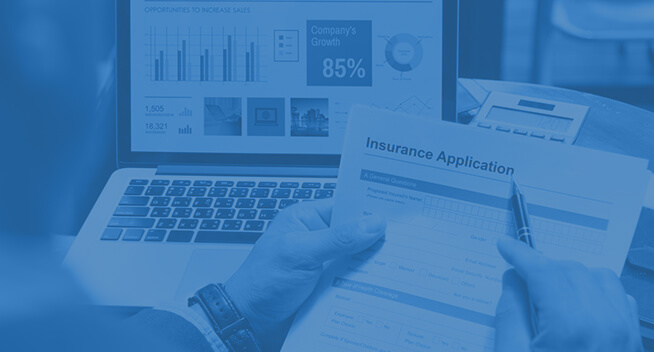 Intelligent integration with other core insurance systems like policy administration, calculations, and derivations and customer data. Transfer of medical data from one system to another in a batch format, by sending flat files at standard intervals to allow access to real-time information. 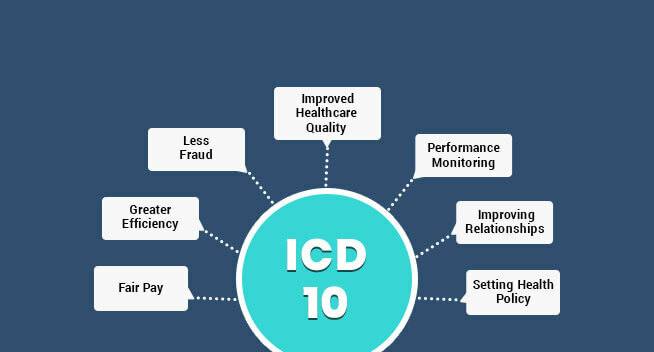 Integration of pre-defined codes comprising CMS-authorized ICD-10, CPT, CDT, and HCPCS terminologies in your existing claim management software. Reduce coding inefficiencies and ICD-10 transition difficulties by utilizing our cloud-based integrated medical coding solutions. Proprietary coding analysis tool integrated with existing medical billing system generates a detailed report on coding. 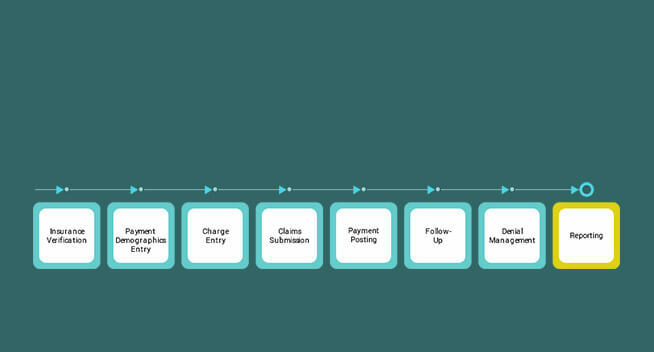 Advanced charting techniques to assist insurers with enhanced payment through billing with high-level codes. EMR-integrated medical billing system to seamlessly transfer data between systems to save administration time and improve efficiency. Developing secure databases integrated with CRM platforms to store multi-specialty billing information. Integrated all billing modules for facilitated automated online posting of orders to instantly finalize an inpatient bill. Maintaining compliance with "meaningful use 2" criteria, including patient’s demographics and e-prescribing usage statistic. 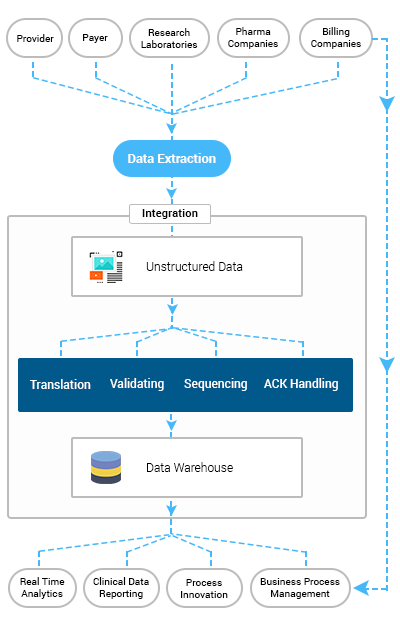 Clinical data integration to transfer, validate, translate and map the data in other application in contextual and meaningful manner. Real-time integration to connect quickly with any EHR, LIS, or provider system whether on-premise or in the cloud. 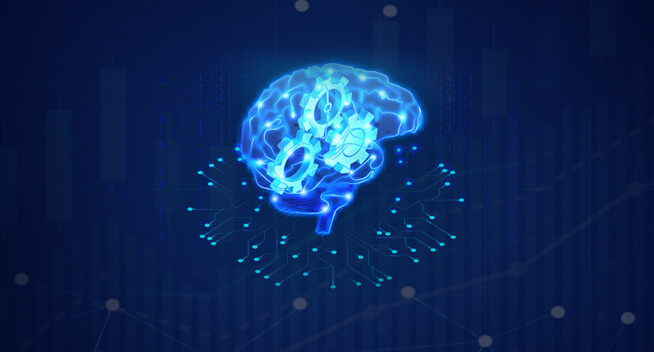 Integrated with scientific data management system(SDMS) to pull structured and unstructured data from different laboratory instruments and scientific documents. 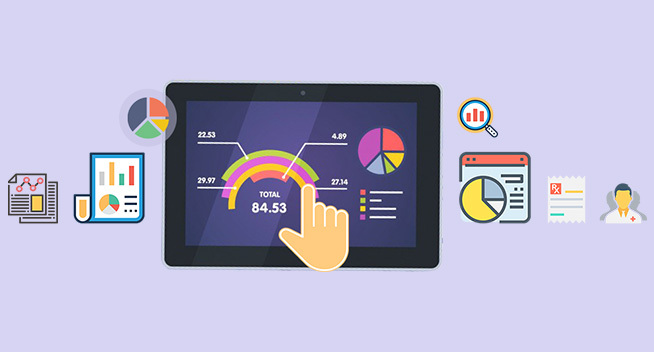 Integrated advanced analytics tools to view and analyze real-time lab data through tabular data to make better decisions. Eliminated reliance on the paper notebooks by replacing with electronic laboratory notebooks (ELN) to improve efficiency, maintain compliance and minimize errors. 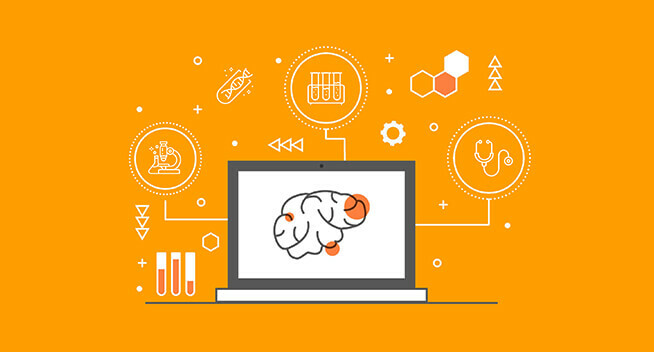 Delivering in silico drug discovery by smoothly integrating computational chemistry, bioinformatics, data management and support informatics. Integrated drug discovery informatics for Target Identification/Target Validation (TI/TV) to Lead Optimization (LO)/Preclinical candidate (PCC). Compliance with standard operating procedures (SOPs) to protect the integrity of collected data through integration. Can be integrated with various systems like Laboratory Information Management System (LIMS), Chromatographic Data Systems (CDS), and Electronic Laboratory Notebooks (ELN). Streamlines all pharma operations from planning to sales and aids manufacturers to be in compliance with necessary cGMP requirements. Ensuring absolute compliance with the stringent regulations like FDA 21 CFR part 11 Compliance. 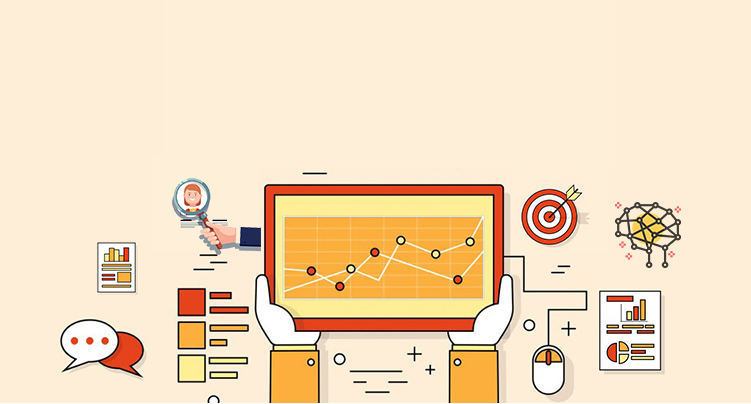 Real-time batch monitoring using inspection plans to make accurate business decisions. Integrated pharmaceutical CRM systems to strengthen relationships with manufacturing partners and customers. To automate the sales cycle of pharmaceutical company and support in enhancing contact management. Smartly integrated plug-ins to ERP data to support end-to-end sales workflow automation. An advanced cloud-based framework to streamline everyday business functions. 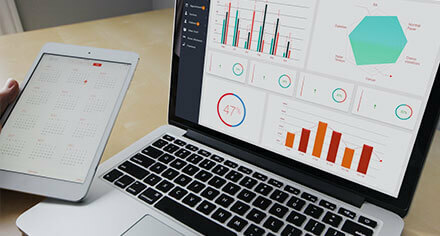 Can support multiple BI dashboards to evaluate the efficiency and collaborate with your CRM.